I always love to watch the sandpipers darting and scurrying along the water's edge, their little legs running so fast you can hardly see them. 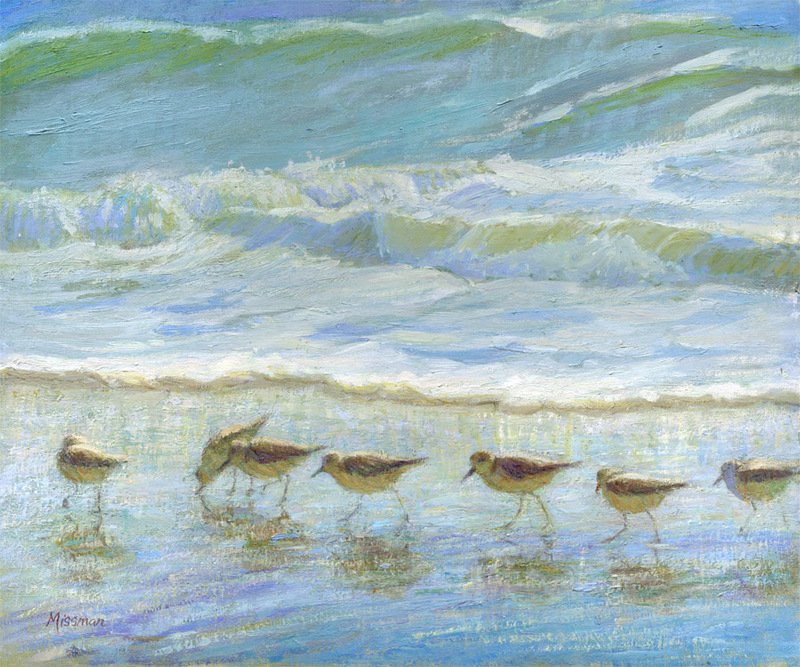 As restful and relaxing as the seashore is, the sandpipers offer a little entertainment as they dart here and there, following the ebb and flow of the surf as they hunt for sandcrabs, and retreating quickly to avoid the water's onrush. I've wanted to depict the scene in paint one day, and hope I have succeeded finally with this painting. This painting is available for purchase; please contact me forpricing.